John Edgar Jennings, age 90, of El Dorado Springs, MO, passed away November 25, 2016. 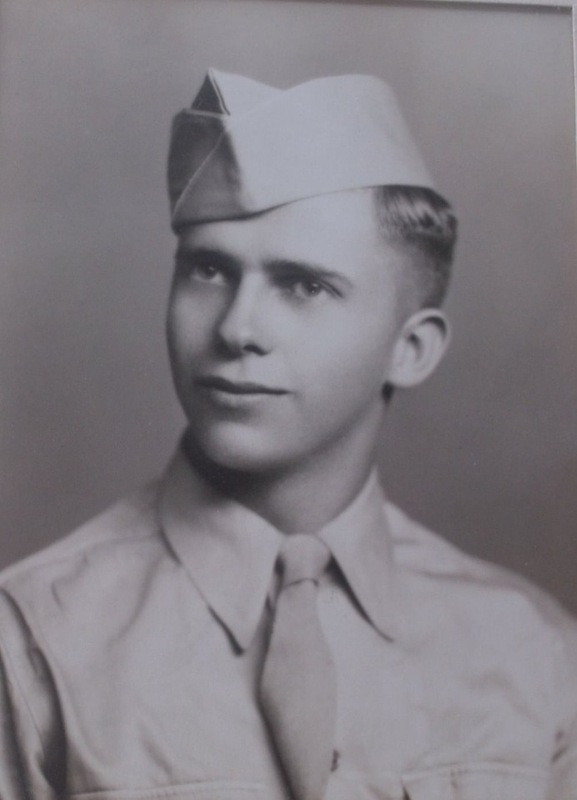 He was born August 10, 1926, to Addie B. and Jesse P. Jennings in Creighton, MO. John served in the United States Army from December 12, 1944 until November 20, 1946, and received an honorable discharge. He was united in marriage to Patsey L. Baker on October 20, 1947. They stood by each other for 67 years. To this union five children were born. John was an employee of the El Dorado Springs International Shoe Factory for over twenty years. John was also a builder, teaching the building trades class at El Dorado Springs RII for two years. He then started his own business, Jennings Construction, and built many beautiful homes. John was a very loving family man, who worked hard, and was a faithful member of the Church of Christ. Preceding John in death were his wife, Patsey L. Jennings; son, Barry K. Jennings; parents, Addie B. and Jesse P. Jennings; brother, Frank Jennings; and sisters, Faye Bogart, Stella Hallford, Mary Ketchum, Fannie Elliott, and Helen Frickenschmidt. John is survived by children: Jack (Hun) Jennings, Karen (Don) Boultinghouse, Brian Chip Jennings, and Jeff (Tara) Jennings; daughter-in-law, Judy Jennings; ten grandchildren; thirteen great-grandchildren; two brothers: George (Jerry) Jennings and Tom (Pat) Jennings; two sisters: Dollie Moore and Margie Hacker; and numerous other family members and friends. Funeral services for John Jennings were held on Monday, November 28, 2016, at 10:00 a.m. at Bland-Hackleman Funeral Home. Mike Pace officiated and the Church of Christ provided music. Burial followed in the El Dorado Springs City Cemetery under the direction of Bland-Hackleman Funeral Home. Pallbearers were: Jason Jennings, Josh Jennings, Skylar Jennings, Tristen Jennings, Kaleb Jennings, and Shawn Boultinghouse. Honorary pallbearers were David Titsworth, Cameron Jennings, Lance Jennings and Kade Collins.